Can you believe that it is May! Where has this year gone! Things have been quite crazy around out house lately. We are hosting a bridal shower at our house this weekend, and we are finally after 3 and a half years having a fence put in!! 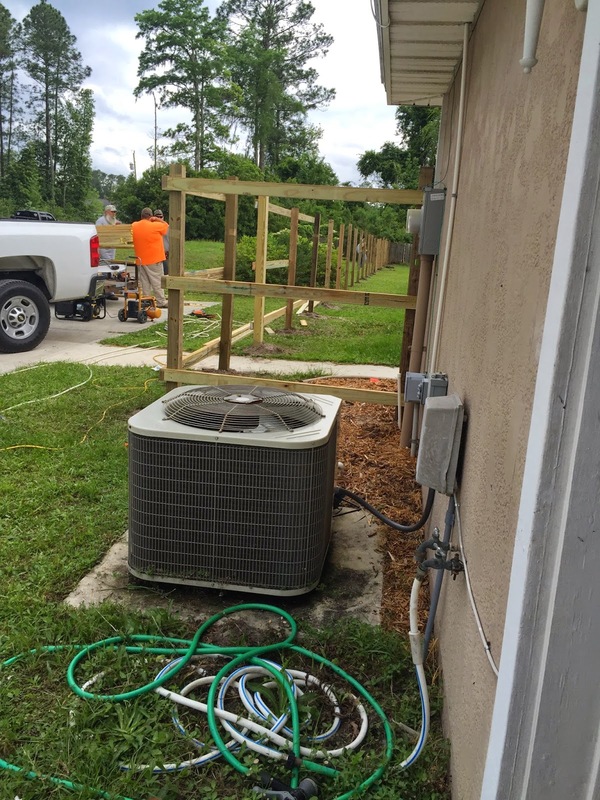 Getting this fence put up, means that I can finally start my garden! 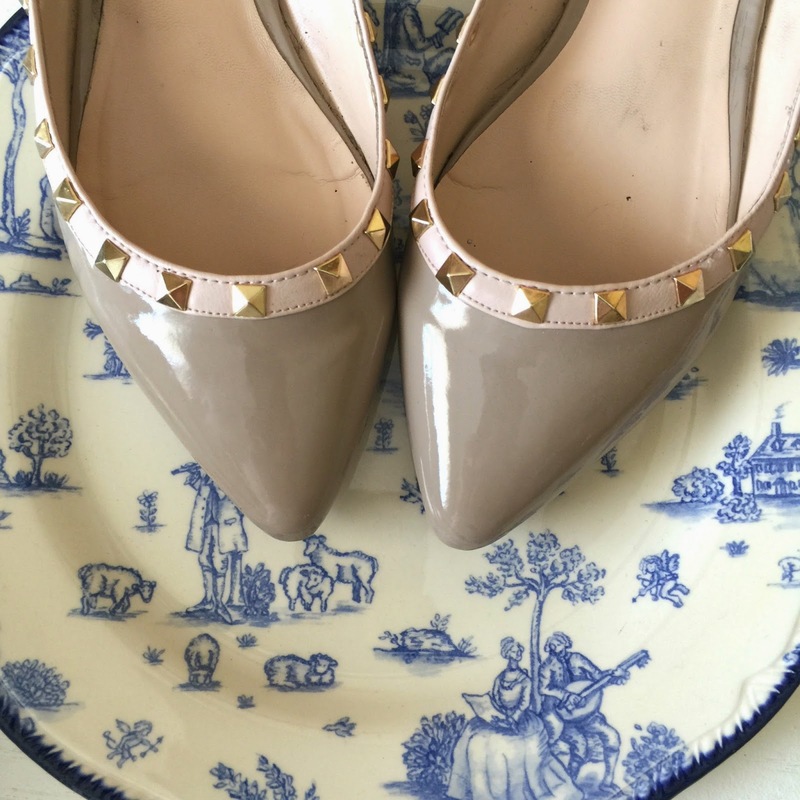 I have always loved the Valentino Rockstud, but I haven't exactly been a fan of the price tag! A few weeks ago on Amazon, I came across these look alikes for less than $30! They are very comfy and I find myself wearing them a lot! Vinegar is always one of my go to cleaning products, but I hate the smell of vinegar. 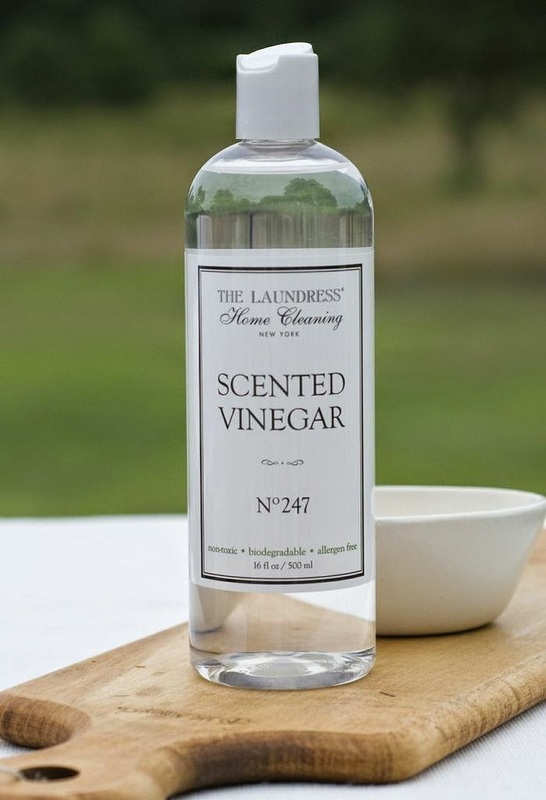 Well, The Laundress has solved that problem with their scented vinegar! If you join their email list, you can get 20% off your first purchase. I finally decided to join Rocksbox, and so far, I am in love with it! If you are thinking about joining, you can use the code: amrsamongmagnoliasxoxo for you first month FREE!! Here is a peek at the decor for this weekends bridal shower. I will share more details next week after the shower. The fence was supposed to be my birthday present this year ( Only 3 months late). I cannot wait for it to be done. I know that the dogs are going to love to have more room to run around in. We currently have a smaller white fence around our pool, and I cannot wait to see that go! I hope that y'all have a good weekend! I'm totally obsessed with your Amazon dupes, the shoes are just so pretty!